How do you access this website? A chance discussion recently made us aware that visitors could be using old links to obtain access. In order to see our latest pages and various new links to our sister websites and other external sources we recommend that you use the following link. Please bookmark this link and use it as your easy access to our site. Also a direct link to the New Focus Flickr site is available as follows. WILTON could have a railway station within two years if a new multi-million pound plan wins approval. The station in Wilton closed more than 40 years ago but it could be revived to help deal with traffic on the A36 and improve transport across the county. Councillors will vote next week on whether to fund an initial £5,000 study which will include illustrations and budget costs to enable a wider consultation to be carried out. The bill for the full feasibility study would be £75,000 and could be paid for though money set aside from the Wilton Hill housing estate. It would be on the Salisbury to Bristol line and would be part of the Trans Wilts route which will run north to south in the county. It has been established to improve journey times between Swindon, Westbury and Salisbury. 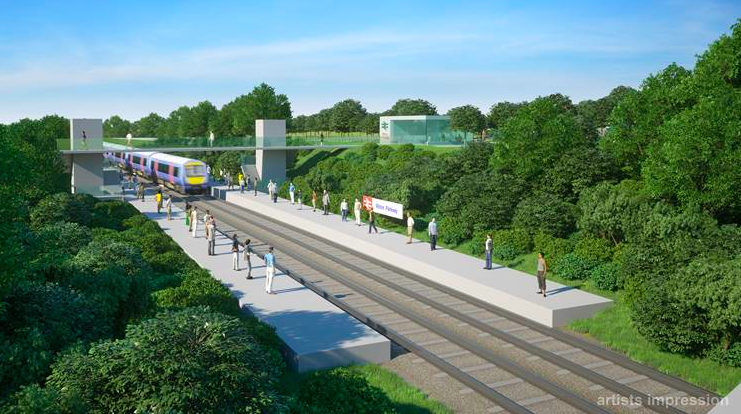 A three-carriage station at Wilton Parkway, which would be next to The Avenue road bridge, is expected to cost around £7.5million and could be funded by the Swindon and Wiltshire Local Enterprise Partnership. Campaigners for the new station hope commuters would use the nearby Wilton Park and Ride, easing parking problems at Salisbury railway station, speed up visiting time to Stonehenge and raise the profile of the town. Southampton Airport has already given its backing to the scheme as a way of creating a “gateway” to Stonehenge. Peter Edge, ward councillor for Wilton, said he hopes the scheme could be completed by the end of 2017 when the rail franchises expire and new timetables are put in place. “Lots of people have said it will not happen but now it is a real possibility,” he said. Wilton was once served by two stations — South and North — but along with thousands of other rural stations it was closed by the 'Beeching Axe' in the mid-60s. The last remaining station, Wilton South, shut in 1966 although the line remains in use. Various schemes to reopen a station in the town have failed with the most recent being rejected in 1997. At that time a joint bid for Wilton and Dinton collapsed after Wiltshire County Council failed to provide funds towards the £14million cost.